Daniel Yocom, Guild Master Gaming September 19, 2017 Dead Shack, Movie Review Screened at FilmQuest Film Festival 20172017-09-19T20:35:18-07:00 Categories: Reviews. Tags: FilmQuest, Movie Review, and review. Bylines: Daniel Yocom and Guild Master Gaming. Daniel Yocom, Guild Master Gaming September 13, 2017 Enjoyment of Short Films and FilmQuest2017-09-13T20:18:32-07:00 Categories: Events. Tags: FilmQuest. Bylines: Daniel Yocom and Guild Master Gaming. Daniel Yocom, Guild Master Gaming August 13, 2017 Dunkirk [Movie Review]2017-08-13T18:47:35-07:00 Categories: Featured Posts and Reviews. Tags: movie and Movie Review. Bylines: Daniel Yocom and Guild Master Gaming. 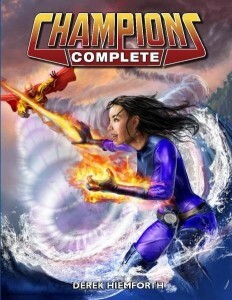 Daniel Yocom, Guild Master Gaming June 14, 2017 Wonder Woman [Movie Review]2017-06-14T17:12:26-07:00 Categories: Featured Posts and Reviews. Tags: review. Bylines: Daniel Yocom and Guild Master Gaming. Daniel Yocom, Guild Master Gaming September 3, 2016 Reviewing More of the RPG Savage Worlds by PEG2016-09-03T14:57:16-07:00 Categories: Reviews. Tags: game, reviews, and RPG. Bylines: Daniel Yocom and Guild Master Gaming. 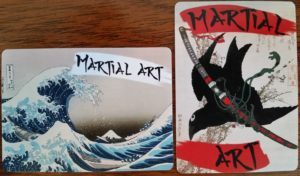 Daniel Yocom, Guild Master Gaming July 26, 2016 Martial Art [Game Review]2016-07-26T18:22:24-07:00 Categories: Reviews. Tags: card game and review. Bylines: Daniel Yocom and Guild Master Gaming. 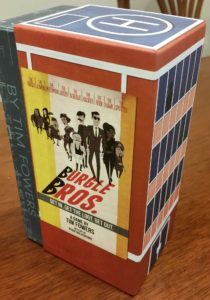 Daniel Yocom, Guild Master Gaming July 26, 2016 Burgle Bros. [Game Review]2016-07-26T18:17:42-07:00 Categories: Reviews. Tags: family game and reviews. Bylines: Daniel Yocom and Guild Master Gaming. Daniel Yocom, Guild Master Gaming February 24, 2016 The Cards of Cthulhu [Game Review]2016-02-24T19:44:07-07:00 Categories: Reviews. Tags: review. Bylines: Daniel Yocom and Guild Master Gaming.